The Muppets take on many different things and usually emerge better for the journey. Here's hoping they bring the Muppet Show back, and not in some watered-down Muppets Tonight fashion... make it back like it was when I was a kid... humor that kids can swallow with enough wink-wink jokes for the adults to keep them coming back. It continues to amaze me how I laughed at these movies as a child for one reason, and I go back and watch them now, laughing for entirely different reasons. 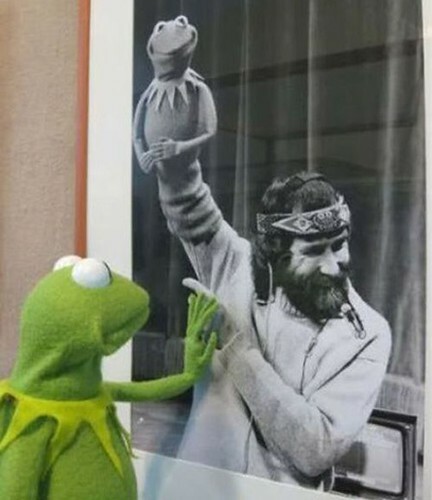 I miss Jim Henson. Viva la Muppets!! The Muppet Christmas Carol enjoys the distinction of being the most faithful film adaptation of that book I've ever seen, even with the muppets singing and wisecracking in the background. Now I'm glad I never saw the Muppets Wizard of Oz film (personally I thought their last Christmas special left a lot to be desired) And I'm surprised you didn't mention Henson's "fairwell" Cameo at the end of A Muppet Family Christmas. Truly that's the only part worth watching in the whole goddamn film. The rest is just awful. Ah, always loved the muppets. You just gotta love felt puppets that can emote better than most of the botox injected starlets out there. The Muppet Movie is still a classic, and even though I haven't seen "Caper" in 30 years, I can still sing a few bits of Happiness Hotel. We do need to hunt down whatever people are holding up that final season of the Muppet Show on DVD. Space, I saw and remember nothing, Passed on Oz, and don't have the fondest of memories of a Very Muppet Christmas. Technically it was pretty good, but I have a low tollerance for the "It's a Wonderful Life" thing, which the whole movie basically was. Still nice throwbacks to the first movie we a nice touch, and if you though Sam the Eagle's bit in the new movie was funny, where is was in the "without Kermit" timeline will make you do a litteral spit take. But I still think that Muppet treasure island was the best one. Yeah, muppet caper was pretty good, but treasure island was far more fun to watch IMO. I can't speak for Kermit's Swamp Years since I'd literally never heard of it until just now let alone seen it, but It's a Very Merry Muppet Christmas was basically somewhere in between Muppets from Space and Muppet Wizard of Oz. It's a retread of the plot from It's a Wonderful Life, with the rare (I think) twist of actually following the whole plot, not just starting at the point where the George Bailey stand-in is about to end his life. So the first half revolves around a greedy banker, played by Joan Cusack, trying to prematurely foreclose on the Muppet Theater so she can tear it down and build a nightclub (funny how so many bankers and lawyers in movies are conveniently also in real estate) and the Muppets trying to raise enough money on the opening night of their big Christmas show to pay off the mortgage by the new deadline of midnight that night. (Yes, that's right, not only was the plot of the new Muppet movie stolen from The Country Bears, it wasn't even the first time they did it.) And of course failing, leading to Kermit's existential breakdown that drives the second half. The NBC-produced special was full of cheap pop-culture gags (granted, if anyone can get away with pop culture parodies, it's the Muppets, but they're not at their best here), from Moulin Rouge to Steve Irwin to Fear Factor. There's a clever nod to the apparently-canonical events of The Muppet Movie in the second half, when Kermit is being shown how the others would have fared if he had never brought them together in the first place, and Cusack makes a good hammy villain. But it's clear that this is no outlying peak in the downward trend of the post-1990s Muppets. They also made yet another Christmas special a few years later, Letters to Santa, which I didn't see all the way through because it clearly sucked and I was sick of the Muppets making another Christmas special every few years anyway. What blew my mind in A Muppet Family Christmas was the fact that they actually showed Jim Henson, in the flesh. It's rather heartbreaking to look back on it now, considering what happened only a few years later. God, I don't remember the Muppet Christmas Carol as a good version of the classic, I remember it as the Classic itself (and considering how many times that movie has been redone, that is one hell of a task). Every time I pick up a Dickens book I now try to imagine Gonzo narrating to see if it has the same spark. I never know what to think with the Muppets... I like the Muppet show, I didn't like the first movie, i did like take Manhattan, I was indifferent to chirstmas carol and from space and i loved treasure island (Best IMO(if only for one song)). I dunno it's very hit and miss for me I look to foward to seeing the new movie though. I'm going to come out and say that I have never seen a muppets movie, but now I really want to. Maybe I'll fire up that DVD que. But what about The Mupper Frog Prince? A Muppet Family Christmas was so perfect, and the way it ended iwht Jim Henson saying "He loves it when they have a good time" is beautiful. Honestly, I don't mind Muppets in Space. I thought I was alright, but then again, it's been a long time since I last saw it, so maybe I could see how well it aged. Muppets Wizard of Oz I'm indifferent about. Heh heh. That was my exact reaction to Muppets in Oz. Only it was more like "I'd tear out my own eyeballs if it would just get rid of the memories!!!" My favorite was Muppet treasure island. Maybe it's an age thing as that's one of the first Muppet things i remember seeing. Muppets Christmas. Only Muppets show I've ever seen and it's as old as me. My family's oldest Christmas tradition besides the tree is watching the Muppet Family Christmas together. It is amazing in numerous ways, not the least of which is what I believe to be the single largest assembly of puppets in a show ever (the final carol scene where the Muppets, the cast of Sesame Street AND the Fraggles all sing together). "If you think I'M a nice fat bird... LOOK AT THIS!" "Peace on Earth! Gimme presents!" Regretfully I haven't seen many of these, just Treasure Island and Muppets from Space. Loved the show as a kid though, they sort of felt like the smarter, edgier, more self-aware cousins of Sesame Street at the time, as demonstrated in the aforementioned crossover. In closing I'm happy to be proven wrong about this attempt at a reboot, here's hoping it does better than 'Muppets Tonight'. I remember that whole "downward spiral" phase and I'm pretty sure it came right around that "prawn" thing Pepe was introduced. In a way I've always kind of blamed him for everything. Damn you Pepe! I remember I used to watch the Muppets' Treasure Island on VHS until the VHS died. You're forgetting "Muppet Classic Theatre" there, Mr. Bob! Rest in peace, Jim. You were a wonderful human being. Letters to Santa wasn't too bad, actually. If nothing else, the scenes with Nathan Lane and Bobo were great. I must have blocked out Muppet Wizard of Oz or it just had terrible marketing, because I don't remember that at all. I do remember some TV special with Whoopi Goldberg playing God that was probably pretty bad. For those of you interested in Henson's lesser known ventures, look up Emmit Otter's Jugband Christmas and Jim Henson's The Storyteller, an anthology series. And for crying out loud, WATCH OUT FOR THE ICY PATCH! 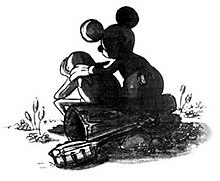 I think a lot of the people on this site are like me, a part of the millennium generation, and thus as kids we got to see Treasure Island in theaters and for some may have been their first introduction to The Muppets, and so it is what we think back to when we reminisce about that piece of pop culture. I had completely forgotten about The Muppet Babies TV show, I used to love watching that as a kid. I remember when cartoon network was coming out with that Baby Looney Tunes show I thought they would do something similar, but to no avail. But it just may be that I was finishing High School when Baby Looney Tunes came out, and thus was no longer the target demographic.